USA Mitchell Cancer Institute’s sixth annual Think Pink Tea will be held at the Alabama Cruise Terminal at 4 p.m. and is attended by patients, donors, media and members of the community. Each year, MCI works diligently to make the event an enjoyable social experience for the attendees, featuring prominent guest speakers, delicacies and a runway fashion show. Wardrobe and professional hair and makeup sponsors are secured to make the runway show a reality, and to cross-promote the partnership. The models that walk the runway each year are current patients, breast cancer survivors, physicians and others that have been affected by cancer. The goal is to present a value-added event that benefits the participants and attendees, a celebration of awareness, achievement and triumph. For more information, contact cmcphail@southalabama.edu or at 251-422-4909. The Mobile Christian-Jewish Dialogue and co-sponsors welcome Amy-Jill Levine Oct. 8-11. Levine is an internationally respected scholar and author on New Testament and interfaith relations, which is especially intriguing because she is Jewish. Levine will lead four days of presentations including seminars and discussions at various churches in Mobile and Daphne. Levine’s books will be available for purchase. For more information, visit mobilecjdialogue.org or email Larry Voit at lvoit@silvervoit.com. Let your ideas be heard at the Mobile Museum of Art Co-Lab Launch Party. This event is the first of a series allowing you to work with our staff and other creative minds to brainstorm new program ideas for your museum. Get your creative juices flowing while enjoying the live DJ stylings of Neil Byrne (aka DJ Hot Lobster) and dinner from the Geaux Boy food truck. There will also be beer and wine and a super top secret specialty drink. Visit the galleries, share your ideas, enjoy the atmosphere and mingle with other movers and shakers in your community. This is a free Thursday night event beginning at 7 p.m., 4850 Museum Drive. In this documentary film, a group of explorers climb high into the mountains of Eastern Turkey in a scientific search for Noah’s Ark. One-night only at Regal Mobile Stadium 18, Carmike Wynnsong 16 and Carmike Jubilee Square 12. The Baldwin County Department of Archives and History invites everyone to join them for American Archives Month. They will have an after-hours open house to showcase fascinating historical collections and inform the public about the important services they offer. It takes place from 5 until 7 p.m. at 305 E. 2nd St., Bay Minette. Refreshments will be served. RSVP to crobinson@baldwincountyal.gov or call 251-580-1909. Pat Greenwood, longtime sports broadcaster and director of multi-media/corporate sales with Jaguar Sports Properties at the University of South Alabama, will be the guest speaker at the lunch forum at Government Street Presbyterian Church, 300 Government St. Lunch is served at noon and costs $10. The forum begins at 12:30 p.m. There is no charge to attend the forum. For details, call the church office at 251-432-1749. Fairhope’s market features local farmers, bakers, fresh produce, fresh-cut flowers, plants, baked goods and more. Fairhope Public Library will have storytimes and activities at 4 p.m. For more information, call 251-929-1466. Fairhope Public Library is located at 501 Fairhope Ave. The Mobile SPCA’s Giant Rummage Sale will feature thousands of items at a great price. Friday, Oct. 9 and Saturday, Oct. 10 at Mobile SPCA, 620 Zeigler Circle W. (near the Fairgrounds). Doors open at 8 a.m. and close at 2 p.m. Anything you need will be on sale. All proceeds help Mobile’s homeless pets! For more information, call 251-633-3531 or MobileSPCA.org. Savor fresh-from-the-Gulf seafood at the 44th annual National Shrimp Festival during this four-day event. This year the festival will play host to more than 80 hours of musical entertainment featuring a lineup of national, regional and local acts. There will be musical acts to please all palates, including blues, Motown, southern rock, jazz, zydeco and country. The music begins at 10 a.m. each day and runs through 10 p.m. Thursday through Saturday and 5 p.m. on Sunday. For a full schedule and more information, visit www.myshrimpfest.com. The Gulf Coast Exploreum Science Center brings Mobile and the Gulf Coast a unique and educational exhibition that’s sure to be a “sweet treat” for young and old alike. “Chocolate! The Exhibition” explores the rich natural and cultural history of one of the world’s favorite treats, tracing chocolate from its origin in the rainforest to its status as a global economic commodity. Visit www.exploreum.com for more information. The annual Dauphin Island Art Trail has 10 locations and features more than 40 artists. Pick up a map of any stop and have it stamped at 10 stops to win great prizes! Ride your bike, your car or the free trolley which will transport visitors from spot to spot with a pickup at the ferry as well for “walk-ons” from Fort Morgan. The event begins at 9 a.m. For more information, see the Dauphin Island Art Trail Facebook page, visit the Dauphin Island Chamber of Commerce’s website at www.dauphinislandchamber.com, or call the chamber at 251-861-5524. An eight-mile stretch of the lower Three Mile Creek Watershed (from Langan Municipal Lake to the mouth near the Mobile River ship channel) has been infested with the non-native Island Apple Snail. These snails have the ability to strip native vegetation from a body of water and reproduce at alarming rates. We will be walking along the banks collecting these little critters, so come prepared with your mud boots or old sneakers. Feel free to bring your kayak and canoe to get to the fun stuff! Meet at 9 a.m. at Langan Park. For more information, call Mobile Baykeeper at 251-433-4229. Join the Hispanic Women Association of Mobile for their annual Autumn Fair to raise money for those in critical financial need. There will be food, games, raffles, bingo, music and more! The fun starts at 10 a.m. at 6819 Old Shell Road. For more information, call 251-533-1684. Join the American Diabetes Association for Mobile’s annual Step Out: Walk to Stop Diabetes at the University of South Alabama. The three-mile walk begins at 8 a.m. and ends at the Moulton Bell Tower. The event includes a Health & Wellness Festival, live music, children’s activities and more! All proceeds help fund research, diabetes education and advocacy efforts. Learn more by visiting www.diabetes.org. With questions or to register, call 251-423-1272. The first polocrosse tournament ever to be held in the Gulf Coast area will be Oct. 10-11 at the Magnolia Springs Equestrian Center in Foley, 12500 U.S. Highway 98. There will be local players from Mobile, Wilmer, Grand Bay, South Mississippi, Eastern Shore as well as the United States and New Zealand. This sport has seen a strong increase of growth in our local Gulf Coast area over the past three years. The Heart of Dixie Polocrosse Club meets bi-monthly for practices on Sunday afternoons at 2 p.m. in the Tanner Williams Community of Wilmer at BCM Morring Farm. Our practices are always open to the public and we welcome anyone who would like to join us. For more information on the tournament or practices, email mmorring@bcmmorring.com. The Daphne Public Library will host an ACT practice test for students in grades 10, 11 and 12. The practice test will begin promptly at 8 a.m. in the library community room. This opportunity comes just in time for students to prepare for the Oct. 24 and Dec. 12 official ACT testing dates. Huntington Learning Center will proctor the test and offer a parent/student test score follow up on Oct. 13 at 5:30 p.m. This is a no-cost enrollment offering. Students can register by phone or email. Seating is limited. Call 251-621-2818, extension 211 or email lyoungblood@daphneal.com. The 4th annual Paddle Bayou La Batre will be held 8 a.m. to 2 p.m. Paddle Bayou La Batre is a canoe/kayak event that provides participants an opportunity to paddle a working waterfront with three very distinct environments (industrial, residential, wilderness) and learn about the Bayou’s history and culture while doing so. The registration fee is $25 and includes event participation, a T-shirt and a bayou-style lunch. Participants also will have the chance to win some great door prizes. 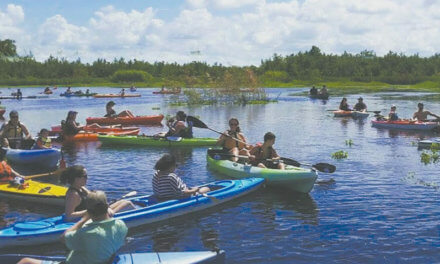 Canoes and kayaks are available for rent from a third-party vendor for an additional fee. To register, go to www.paddlebayoulabatre.org. If you have questions, contact tracy@paddlebayoulabatre.org or call 251-463-4233. The well-preserved ramparts of Fort Gaines have guarded the entrance to Mobile Bay for more than 150 years. Now a fascinating historic site, the fort stands at the eastern tip of Dauphin Island where it commands panoramic views of the bay and the Gulf of Mexico. This is a family-style event and everyone is welcome. The fort’s museum and gift shop are always open. Come and explore life on “Isle Dauphine” in the 18th and 19th centuries as a French, British and Spanish soldier. The soldiers will go through drills and fire the cannon. Visitors can see the fort’s authentic blacksmith demonstrating his craft. Fort Gaines is located on the east end of the island at 51 Bienville Blvd. For more information, visit www.dauphinisland.org. Shopping for the freshest crops every Saturday through Nov. 21 at Cathedral Square in downtown Mobile. This time of year is our favorite because you can buy locally grown fresh greens, fall corn, squash, peppers, sweet potatoes, pastas, seafood, sausages, eggs, goat milk cheese, breads and baked goods and much more. Stay for live music on the green. For more information, call 251-208-1550. Come enjoy complimentary mimosas as artists work at the Cathedral Square Gallery, 612 Dauphin St. in downtown Mobile. Works by more than 60 area artists also will be on display. For more information, call 251-694-0278. Purchasing an auto can be stressful and costly mistakes can affect you for years. Learn the tools of the trade when it comes to dealer offers and financing. Register for this 6-7 p.m. workshop at Lifelines/Consumer Credit Counseling office, 705 Oak Circle Drive E. Space is limited, please call 251-602-0011 to register in advance. The American Cancer Society and Wal-Mart have joined together to host breast cancer screenings in Mobile and Baldwin counties to promote breast cancer awareness and education in the communities. Mobile’s county’s screenings will be at Wal-Mart, 7855 Moffett Road, Semmes, from 10 a.m. until 3 p.m.
Farmer’s Market sponsored by Christ United Methodist church every Tuesday afternoon through Nov. 24 from 2:30-5 p.m. Featuring locally grown produce, honey, seafood, baked goods and other homemade items. Located at 6101 Grelot Road (corner of Grelot and Hillcrest). The Fairhope Museum of History will host “Tea for Two” each Tuesday afternoon at 2 p.m. Guests will enjoy a cup of delicious Baldwin County tea, cookies and a lecture on an interesting aspect of Fairhope history. These very popular afternoon events are sponsored by the Friends of the Museum. 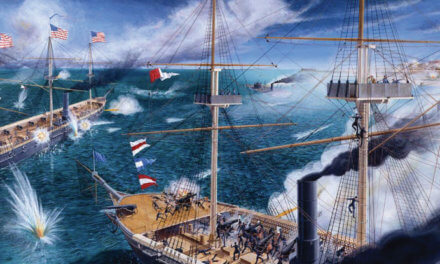 For more information on upcoming programs, call the Fairhope Museum of History at 251-929-1471. The Baldwin County Library Cooperative recently implemented a Teen Tech Tutor program at the Robertsdale Library. This program is designed to match high school age students who have strong technological skills with adults and seniors who are unfamiliar with basic laptop computer technology. The free program is available Monday through Friday 3:30-4:30 p.m. at 18301 Pennsylvania St., Robertsdale. An appointment is required; call the library at 251-970-4010. Join the “buzz” of excitement as Daphne Public Library explores the important role native bees play in the pollination of our garden flowers, fruits and vegetables. The session will include a demonstration on how to build a bee house, hands-on activities including a “make-it/take-it” project to start your very own “bee”utiful backyard pollinator garden. Denise Heubach, Urban Regional Extension Agent II, from the Alabama Cooperative Extension System will be the presenter for this workshop, which begins at 4:30 p.m. Teens, parents and teachers are welcome to attend. This is a no-cost offering sponsored by the Friends of the Daphne Library. To register, call or email Louise Youngblood at 251-621-2818, extension 211 or lyoungblood@daphneal.com. Fall is back and so is live jazz! Brown Bag your lunch and sit under the swirl of oak trees in Mobile’s Bienville Square, 11:30 a.m. to 1:30 p.m. Live music will be provided by the city of Mobile Special Events Department, this week featuring Tropic Flyer. Artists perform Wednesday in Bienville Square, Thursday in Daphne’s Mayday Park and Friday at Fairhope’s Windmill Market.